Size of the Industry All over India it has 631 Power Units and installed capacity of power in India is calculated to be 145,554.97 mega watts, out of which 75,837.93 mega watts (52.5%) is from States, 48,470.99 mega watt (34%) from Centre, and 21,246.05 mega watt (13.5%) is from Private sector initiativs. The Indian Power Industry plays a critical role in the economic progress of the country and has to be emphasized. Before Independence British controlled the Indian power industry firmly. Then due to legal and policy framework it was conducive to private ownership, with not much regulation with regard to operational safety. The country was faced with capacity restraint after Independence immediately. India adopted socialist structure for economic growth and all major industries were controlled by public sector enterprises. In 1970's India nationalized most of its energy assets, as it was committed to social goals. By 1980's the Indian economy felt the importance of socialist agenda and followed it since independence. Serious deterioration has been faced by the Union government as part of its policy of economic liberalization with public finance and balance of payment crisis, allowed greater investment by private sector in the power industry. Power falls in the Concurrent List (List III of the Seventh Schedule to the Constitution of India) as a matter of legislative and executive competence. The Union government passed several laws Understanding the critical part played by the power industry, and restructured the Power Industry to gear it up to meet the challenges posed to the Indian economy post Liberalization. The Indian government passed the Electricity Bill 2001.The Bill seeks to Consolidate and rationalize existing laws. To solve such issues of developing industry including regulation, power trading, non discriminatory open access, choice of dispensing with vertically integrated state enterprises and encouraging private enterprise. The Act was formed by the Indian government to facilitate stringent steps to ensure the efficient use of energy and its conservation. Even the Bureau of Energy Efficiency has been set up to monitor and regulate the Power Industry according to the provisions of the act. The Indian power industry derives its funds and financing from the government and some private players that have entered the market recently like from World Bank, public issues and other global funds. The Power Ministry of India has set up Power Finance Corporation of India that is mainly responsible for the financing of the power sector in India. The corporation provides finance to major power projects in India for power generation and conversion, distribution and supply of power in India. There is also one body called Power Finance Corporation (PFC) Ltd India which takes care of the installation of any new power projects as well as renovation of an existing power project in India. PFC is an association for central electricity authority and the ministry of power facilitates the development in infrastructure of the power sector in India. They also take care of constructing mega power projects that will answer to the power shortage in various states through power transmission through regional and national power grids. The total installed capacity of power in India is calculated to be 145,554.97 mega watts, out of which 75,837.93 mega watts (52.5%) is from States, 48,470.99 mega watt (34%) from Centre, and 21,246.05 mega watt (13.5%) is from Private sector initiatives. The Generation capacity of power is 141 GW; 663 billion units produced (1 unit = 1kwh)-during the year January 2008 and the CAGR(Capital Accumulated growth Rate) is of 5% over the last 5 years. India has turned itself into the fifth largest electricity generation capacity in the world with Low per capita consumption at 631 units; less than half of China. All over India Coal fired plants constitute 54% of the installed generation capacity, followed by 25% from hydel power, 10% gas based, 3% from nuclear energy and 8% from renewable sources. The market research firm RNCOS (2008) has researched and set up a report on "Indian Power Sector Analysis" which found that more than 64% of India's total installed capacity is contributed by thermal power. The research signifies that there is a huge jump in unit size and steam parameters will result in higher efficiencies and better economics for the Indian power sector. According to regional contributions the western region accounts for largest share (30.09%) of the installed power in India followed by Southern region with 27.76%. Cause of concern remains the unbalanced growth for the Indian power sector. Only about 56% of households have access to electricity, with the rural access being 44% and urban access about 82%. The dominant region is the southern region in renewable energy source accounting for more than 57% of the total renewable energy installed capacity. Indian Power Industry has become the fore front of Indian growth story. Efficient potential for generation of power from renewable energy sources is due to the huge captive coal reserves and a highly investor friendly Government policy for setting-up green-field Power project, the industry is abreast with untapped opportunities. UPES is the best institution in India to offer customized Power sector programs across the realms of Generation, Transmission and Distribution. These programs are organized with active participation of the Industry; seek to equip students with both academic and application skills. UPES is offering one MBA, one M.Tech and one B.Tech program. Such programs are offered under College of Engineering Studies, Management and Economics. Employment Potential be in Power Generation companies, Power Transmission companies & Power Distribution companies, lastly in Power Consulting & Technical Service Providers. 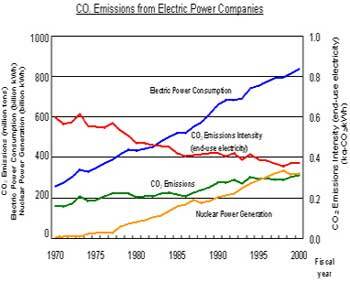 Thermal Power is mainly generated through coal, gas and oil. As India being vested with major sources for coal. Hydropower is one of the mega power generators in India. Various hydropower projects & plants have been set up by the ministry of power for generation of hydro power through construction of various dams and reservoirs on major rivers. The kinetic energy of the flowing water is being used to generate hydroelectricity. Wind Power is available in plenty as India witnesses high intensity winds in various regions due to the topographical diversity in India. Solar Power is being utilized to generate electricity on a smaller scale by setting up massive solar panels and capturing the solar power which is instead used by the small scale industries. 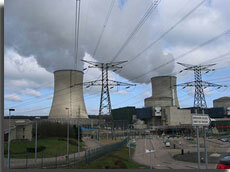 Nuclear Power is generated at huge nuclear power plants and nuclear power stations in India using the nuclear energy. All the nuclear power plants are managed by the Nuclear Power Corp of India Ltd (NPCL). Biogas Power is still in its infancy stage as India is the largest domestic cattle producer and has plenty of biogas fuel and thus utilization of the fuel for mass biogas production by setting up more biogas plants would solve the power shortage problem to some extent. The Indian Power Industry is classified under the category of "Red" which represents highly polluting industries. According to Indian Experts the private sector would play a greater role in power generation and foreign investments would increase considerable in his sector. The Indian government Hydrocarbon vision 2025 gives in detail the guidelines for the policies in India for the next 25 years to attract investment in exploration, production, refining and distribution of petroleum products. Indian opportunity to grow in the field of power generation have increased with help of transmission, and distribution. 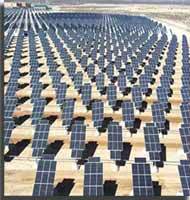 India requires an additional 100,000 MW of generation capacity for which huge capital is required by the end of 2012. The transmission network has strong opportunities which ventures - additional 60,000 circuit kilometers of transmission network is expected by 2012 with a total investment opportunity of about US$ 200 billion. India would require an investment of Rs.6,00,000 crore for the country's power consumption expected to touch 8,00,000 MW by 2031-32. This investment would be only possible by attracting foreign direct investment and public-private participation in the power sector, at present, the energy shortage in the country was estimated at 10% and it touches 13% during peak seasons. There are States, where the energy shortage is 25% which is a serious impediment for the industrial development and economic progress. There is a serious need of crash projects to build the capacity and eliminate power shortage by 2012.